Money Management is a service in Online Banking that provides a visualization of spending over time divided into categories. Members can drill into subcategory views and see transaction details, track income, and define the date range over 3 to 12 months. Know your finances – See all your accounts, including those with other financial institutions. 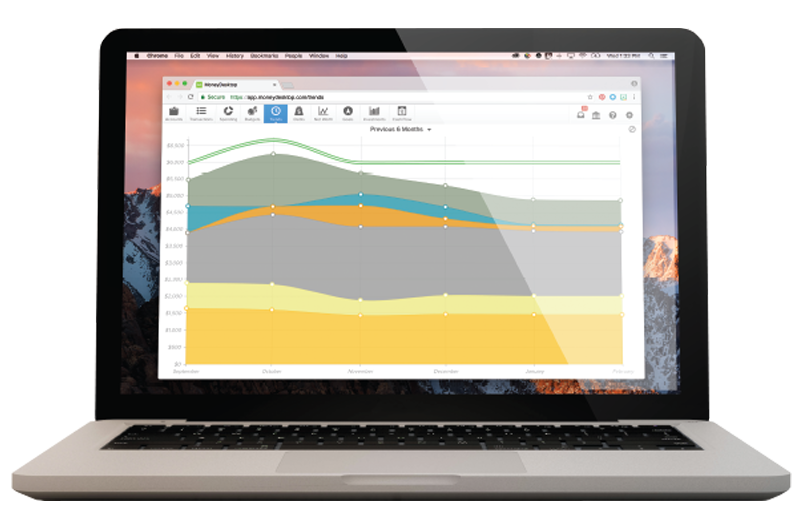 Track your budget – Bubbles help you understand the relative health of your budgets instantly. Watch your spending – Every transaction is automatically categorized so you can spend smarter.